Contains never-before-seen photos, letters, and more! --Dust jacket. 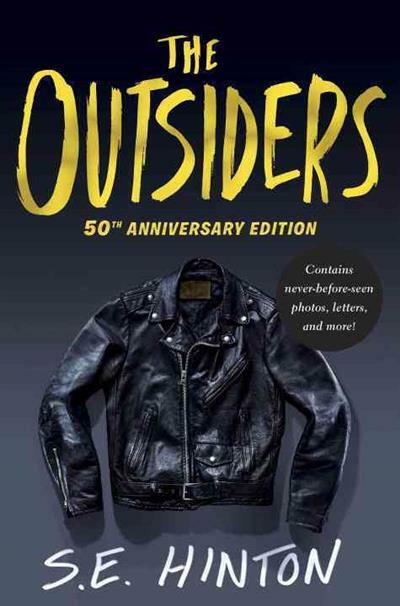 Celebrating 50 years of the novel that laid the groundwork for the YA genre, this is the ultimate edition for fans of THE OUTSIDERS. Containing the entire text of the novel as well as little known facts about the fascinating publishing backstory, archival photos and letters from the author, a gallery of covers over the years, new material from the stars of the iconic film, and much more. A perfect way to honor this impressive milestone and a must-have for fans of all ages. S. E. Hinton is the author of a number of bestselling and beloved books for young adults, including THAT WAS THEN, THIS IS NOW; RUMBLE FISH, TEX, and of course, THE OUTSIDERS, which was written when she was just 16 years old. She has also written several picture books, a collection of short stories, and a novel for adults. 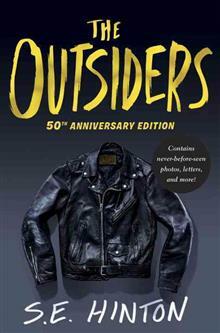 She lives in Tulsa, Oklahoma-the setting of THE OUTSIDERS-with her husband. When she is not writing, she enjoys riding horses.